The American automaker, Chevrolet, had launched a compact car called Cruze, in 2008. Moreover, in 2009, the manufacturer introduced a four-door compact sedan variant. The Chevrolet Cruze is small in size but has a lot of variants. It is available as a hatchback or as a sedan. Moreover, you can get an optional automatic transmission option with gasoline or diesel powered engine. The latest version, the 2018 Chevrolet Cruze has four trim levels including L, LS, LT and Premier. However, all the trim levels are not available in both body styles. The new edition of the hatchback adds a diesel engine option. In case, you are making up your mind for getting your hands on the newest version of the Sedan in future, here’s a brief overview of the car. The 2018 Chevrolet Cruze features an eye-catchy design which draws your attention at the first glance. At the front, it gets a pair of fog lamps and LED daytime running lamps along with the headlight. Moreover, the sedan gets chrome bodysidemouldings and the RS package provides a sporty-look to it. At the rear, a spoiler is present that helps to prevent the unfavourable air movement across the body. Inside the car, a 7-inch touchscreen display as the infotainment system has been provided, which works with Apple CarPlay and Android Auto connectivity options. Moreover, the driver’s seat of the car is 8-way adjustable which makes the driving more convenient. However, the front passenger’s seat is only 2-way adjustable. Other features of the interior include steering wheel-mounted audio controls, a 60/40-split folding rear seat and 6-speaker audio system. In terms of the powerplant, the 2018 Chevrolet Cruze comes with an optional turbo diesel engine. The car has a 1.4litre turbo-4 rated engine which is capable of providing a maximum of 153hp power at 5600 rpm and offers 177 lb-ft of torque. The engine comes mated to a 6-speed manual transmission. Moreover, the car is also fitted with a 1.6-litre turbo diesel inline-4 engine which is coupled to either a 6-speed manual or a 9-speed automatic.gearbox. The engine can provide up to 137 hp of power and can deliver a peak torque 240 lb-ft. The vehicle gets a 13.5l fuel tank which is good enough for the long road trips. The gas-fueled Cruze sedan is capable of providing a 12.3km per litre mileage in city and 17 kmpl mileage on the highway. As for the braking, the Chevrolet Cruze 2018 features disc brakes at the front as well as at the rear. Moreover, the 4 wheel ABS system is present that prevents the wheels from locking up and avoids uncontrolled skidding. 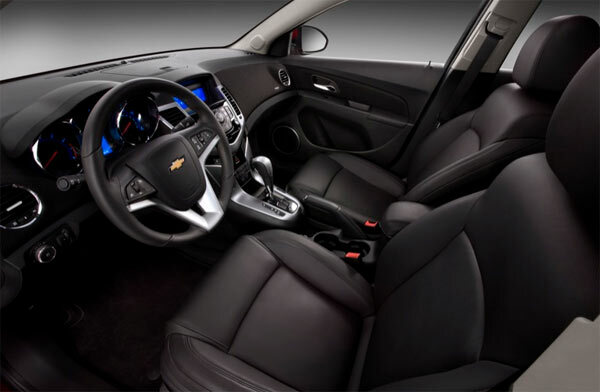 The Cruze features 10 airbags including seat-mounted side airbags for both the front and rear outboard positions as well as knee airbags for front seat occupants. 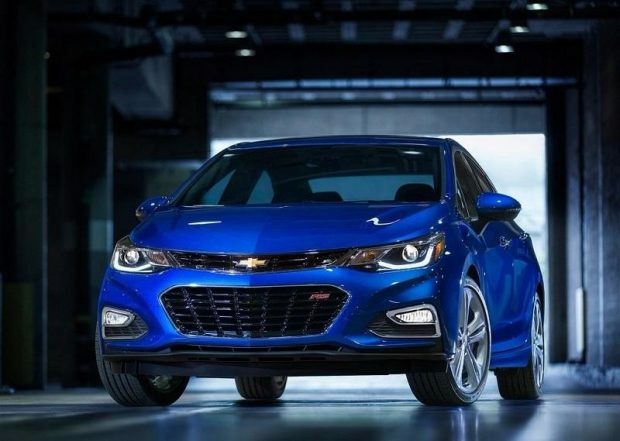 The 2018 Chevrolet Cruze will go up against the Honda Civic (roomy interior, fun-to-drive nature, and great safety record), Toyota Corolla (top pick for consumers) and Hyundai Elantra (wide array of engines and suspensions). Next Story → 1969 Pontiac GTO Judge Used For Forza Motorsport.